Rupert Murdoch is making another bid for the one that got away. His media group 21st Century Fox (FOX) has struck a deal to take full control of Sky, one of the world's leading pay TV providers. Fox will pay 10.75 pounds ($13.50) per share for the 60% of Sky it doesn't already own. The deal values Sky at 18.5 billion pounds ($23.3 billion). Sky (SKYAY) shares were up 31% in London. Murdoch was forced to abandon a previous bid for Sky in 2011 as public and political anger grew over a phone hacking scandal at his British newspapers. The media baron's younger son, James Murdoch, was Sky chairman from 2007 to 2012, but was forced to step down because of the scandal. He returned to the top job earlier this year. Rupert Murdoch is currently the co-executive chairman of 21st Century Fox, a position he shares with his other son, Lachlan. 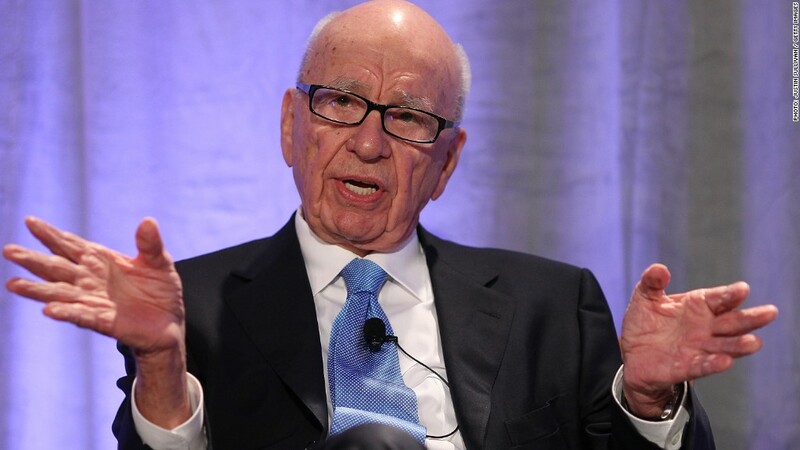 The elder Murdoch stepped down as CEO earlier this year. Sky has 22 million customers across five European markets: Italy, Germany, Austria, the U.K. and Ireland. The deal is likely to draw intense scrutiny from regulators. Murdoch won approval from the U.K. government for his previous Sky bid. But Murdoch still owns three of Britain's biggest newspapers, The Sun, The Times and The Sunday Times, and control of the country's biggest pay TV provider could threaten media plurality. U.K. regulators did not immediately respond to a request for comment.